Personalised Micro Fibre Hand Towels are not only 'handy' but they are a brilliant gift for Birthdays and Christmas. 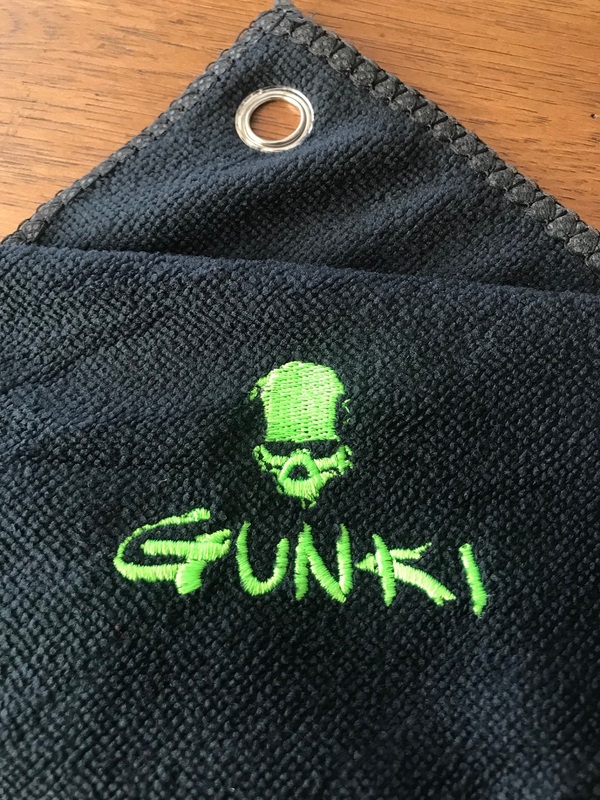 Stitched into a Micro Fibre towel you can personise your Towel by adding your name or personal message. Current available in Green with either Predator Tackle Logo, Black Gunki logo or the S.S.L.A Logo. Add to the basket your preferred option call or send an email to sales@PredatorTackle.co.uk with your name or meassge and we will do the rest. We can even add Clubs logos* within a 7 day turn around. *Set up fee will apply, cost will depend on number of towels ordered - please call 01621 393937 for more details. Stitched over an Aqua Film topping, which is PVA dissolvable film that will disappear once come in contact with water.